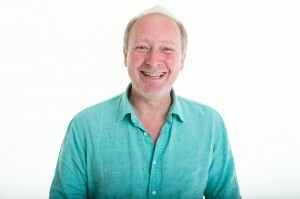 Discover how our CST practitioner treats post operative stress and discomfort in his practice using gentle non-invasive techniques. By the clinic Craniosacral therapist Andrew Cook. There is something of a misconception that operations under general or local anaesthetic are now so common as to be straightforward and “routine”. In fact, this is definitely not the case. It is something of a tribute to the skill of medical and dental surgeons that most operations do not result in major side effects. However, in some cases there are long-lasting effects that arise from apparently simple medical procedures. Both general and local anaesthetics immobilise the body, and an important survival principle for your body is the ability to move. Therefore this chemical immobilisation may in some cases cause a version of PTSD. This in turn may result in a range of symptoms including increased stress and anxiety, breathlessness and palpitations, sleeplessness, and a wide range of different types of pain. The same defensive mechanisms may also go into overwhelm, in which case the opposite kinds of symptoms may also arise – e.g. sleepiness and exhaustion, dizziness, depression, inability to cope, confusion, dullness, and numbness. The specific type of operation (or even the type of anaesthesia applied) is far less of a factor than how much your system was pre-loaded with stressors before the operation. Factors such as length of operation, and any emergencies that occur during it or in the following few days or weeks are also fairly important. So post-operative stress may potentially arise from simple dental procedures, through to investigative laproscopies involving local anaesthetics through to any kind of major surgery. I have been helping people recover from operations for over 20 years, and combine (bodywork) skills from CST along with state-of-the-art cognitive techniques used to treat trauma. These are particularly effective when used in combination, because most post-operative stress is complex. Most cases of post-operative stress I have worked with were treatable, each being rather different depending on individual circumstances. The treatments are safe and comfortable, and usually begin as weekly sessions, progressing to more widely-spaced appointments as required. To contact Andrew or reception for bookings and queries please call 01603 665173.